Hillary Clinton is the first presidential candidate to say “I’m sorry” in concession speech. Hillary Clinton gives her concession speech on November 9, 2016 in New York City. A Fortune analysis of all concession speech transcripts since 1952, when Adlai Stevenson gave the first televised post-election address after losing to Dwight D. Eisenhower, revealed that none of Clinton’s forerunners said “sorry” to their disappointed voters. “This is not the outcome we wanted or we worked so hard for, and I’m sorry that we did not win this election for the values we share and the vision we hold for our country,” Clinton said in her speech. It can’t be a coincidence that the first presidential candidate to say “sorry” after losing the election is a woman. Too often, women apologize for messes they didn’t make and actions that warrant no apology. (Some women even built an app last year to help others stop apologizing in emails.) In the workplace, this can function as a way for a woman to soften her image and quell perceptions of being pushy or intimidating. For Clinton, who has endured a disproportionate volume of society’s projected fears of ambitious women, “sorry” might have been one last shot at seeming like the warm, soft blanket men seem to want their female political leaders to be. Or maybe Clinton apologized because this election was different from any other in recent memory. Among Clinton supporters, it felt like a referendum on women in leadership, open-armed pluralism, and common decency, not just a political disagreement. Her loss as a candidate represented the general failure of people who detested Donald Trump’s nativism and lifelong misogyny, among other things, to beat back the threat he poses to the constitution and American democracy. 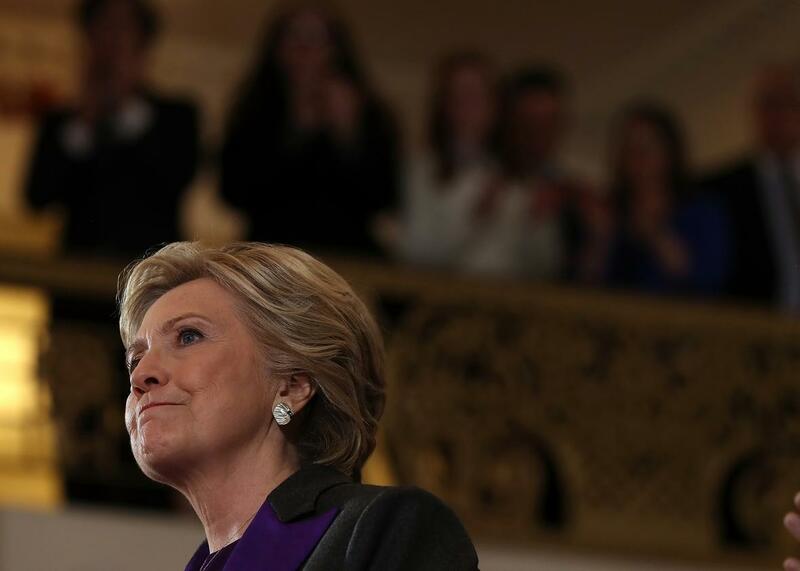 The feeling Clinton addressed in her speech was not just disappointment at a campaign’s loss or anger at what steps toward progress would be lost. It was grief for a hopeful country supporters believed they knew, before they were proven wrong by Trump’s election. Clinton bore the pain of her devoted fans, and she apologized for whatever blame they might cast on her for failing to stem the rising tide of racism and xenophobia in America. Her apology stands in stark contrast to the ethos of Trump, whose refusal to apologize for tangible damage he’s caused is a major facet of his character—and possibly a major reason why people who voted for him read his insecurity as strength. When given the chance to apologize for arousing racial hatred around Barack Obama’s birth certificate, Trump said he “did a good job,” congratulating himself on getting the president to release his proof of U.S. birth. When military-loving voters balked after Trump said of Sen. John McCain, “He’s a war hero because he was captured. I like people that weren’t captured,” Trump doubled down rather than say his sorries, saying he was “disappointed” in the senator’s work for veterans. Trump told Jimmy Fallon he’s not against apologies in principle, “but you have to be wrong.” The president-elect promised he’d apologize “sometime in the distant future if I’m ever wrong.” Nice for America that, instead of electing a woman who says “sorry” for hurt she didn’t cause, we ended up with a man who won’t apologize for the actual harm he does.